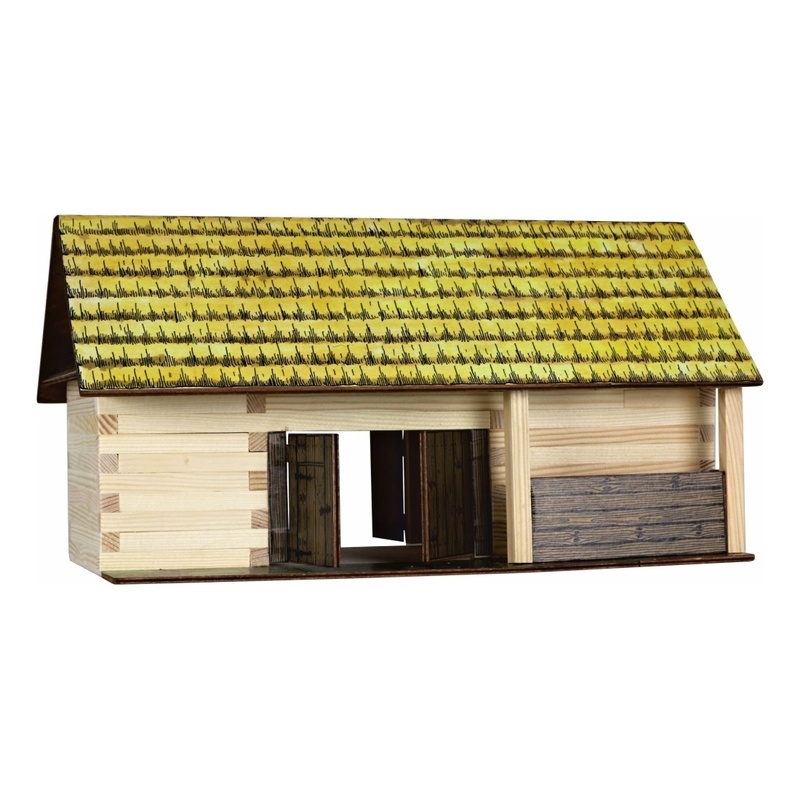 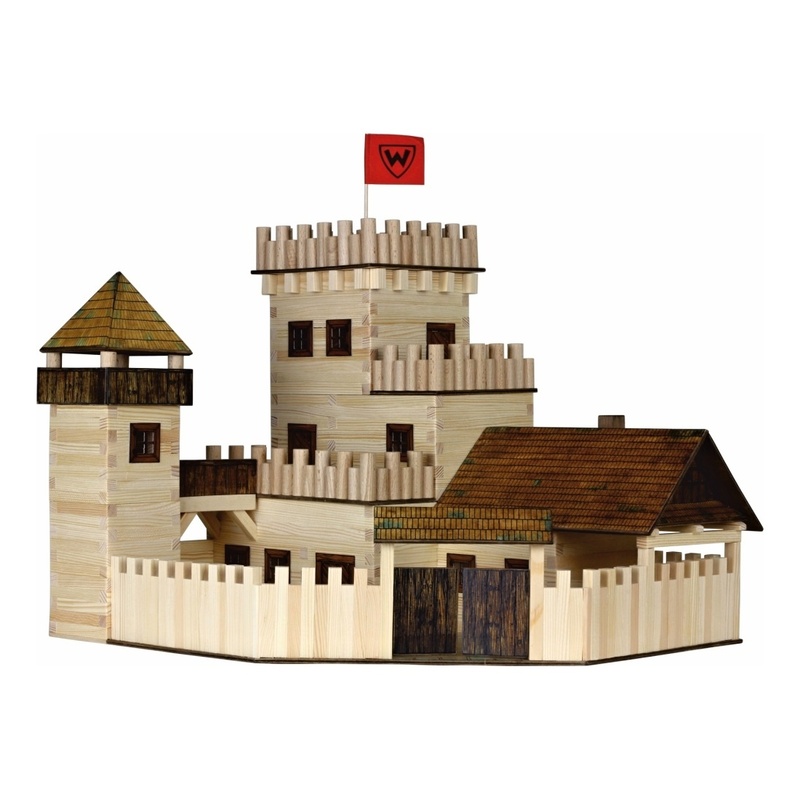 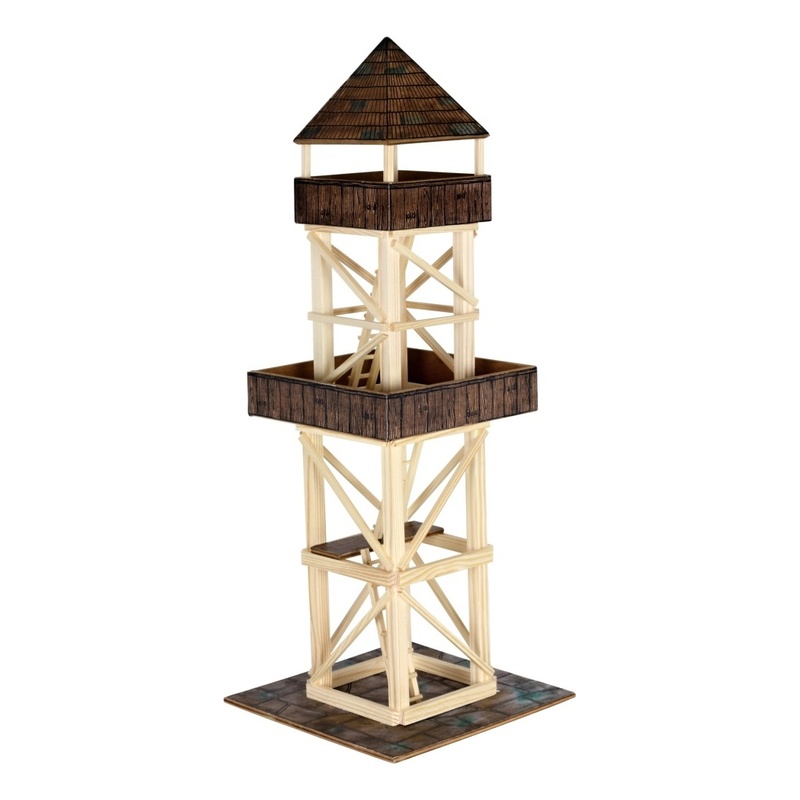 The construction kit you have represents one of several types of traditional village structures. 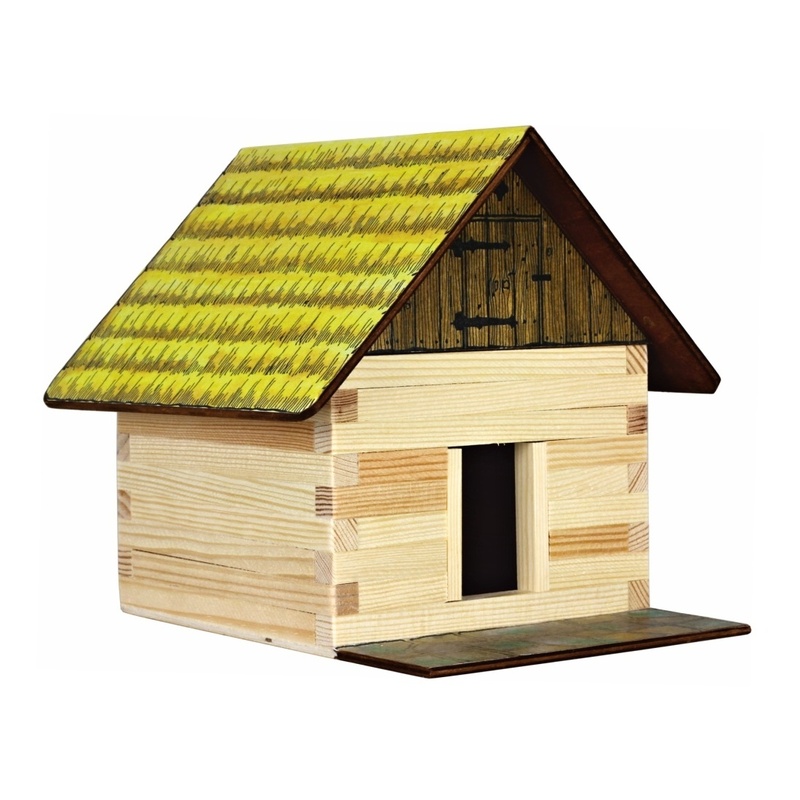 Wood, favorite construction material of our ancestors, used to be readily available to almost everybody. 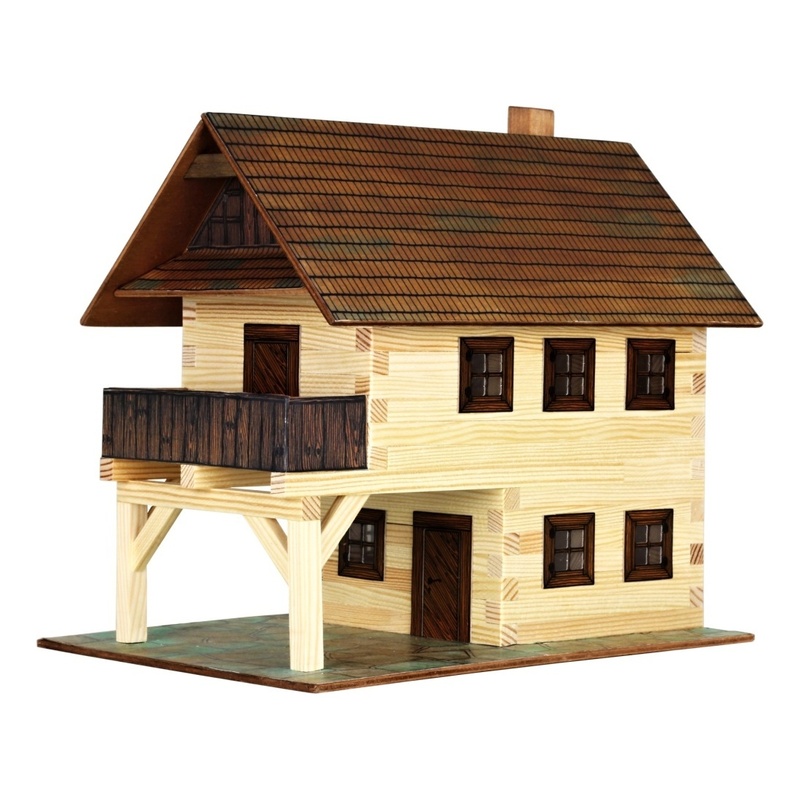 This material allowed construction of numerous beautiful wooden structures throughout Europe. 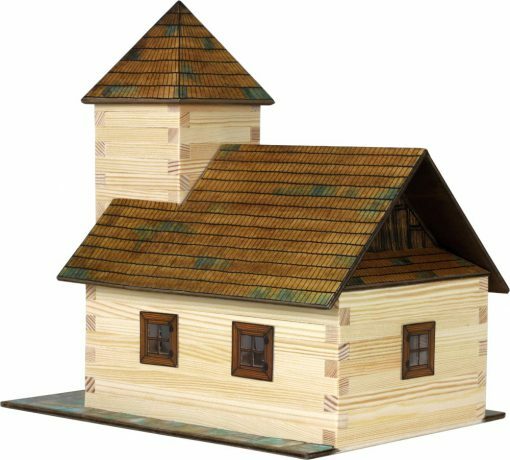 The size, architectural complexity, and aesthetic beauty of different structures reflected the prosperity and taste of their owners. 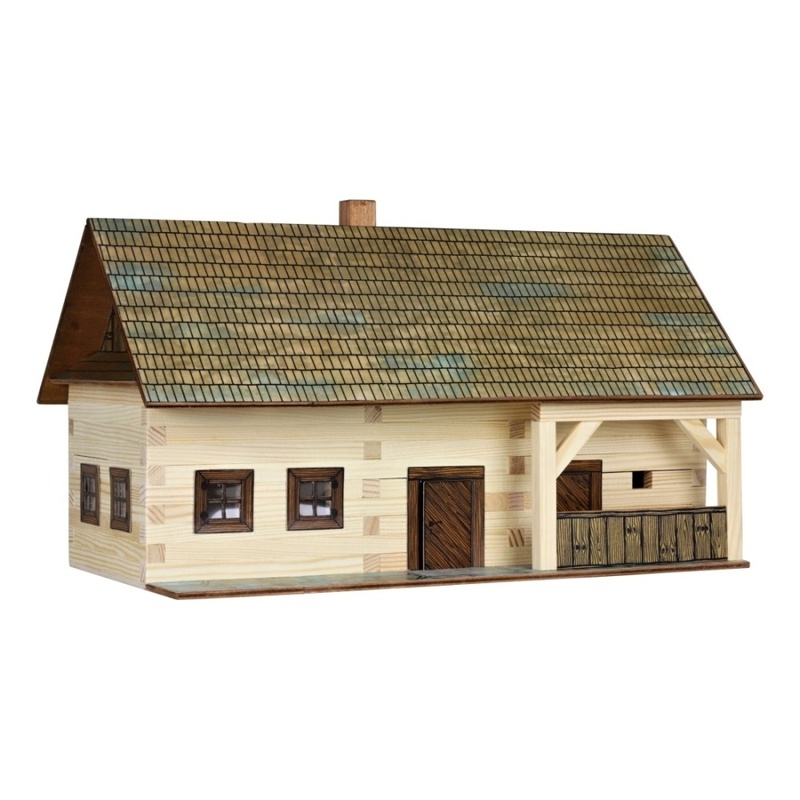 Wood was used not only for construction of family dwellings, but also for farm buildings, churches, guildhalls, and other structures in traditional villages. 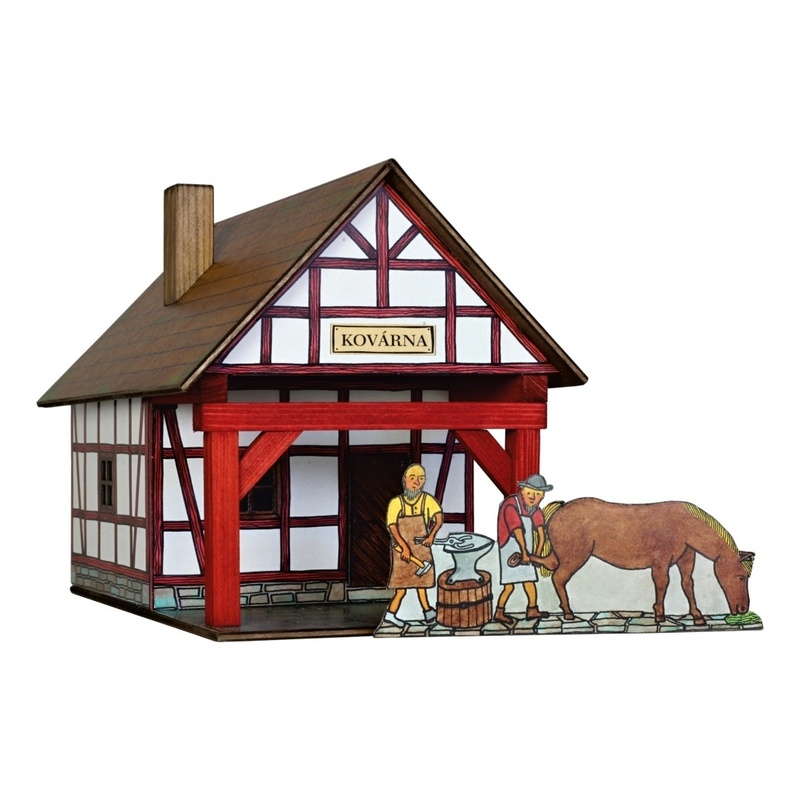 Stone, another frequently used building material, was used for construction of cellars and building foundations. 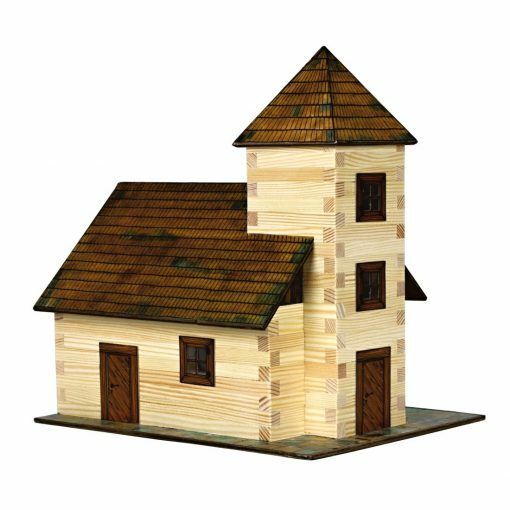 There were many skillful carpenters among farmers, who could construct the walls, make the windows, doors, and furniture. The roof was traditionally covered with wood shingles. 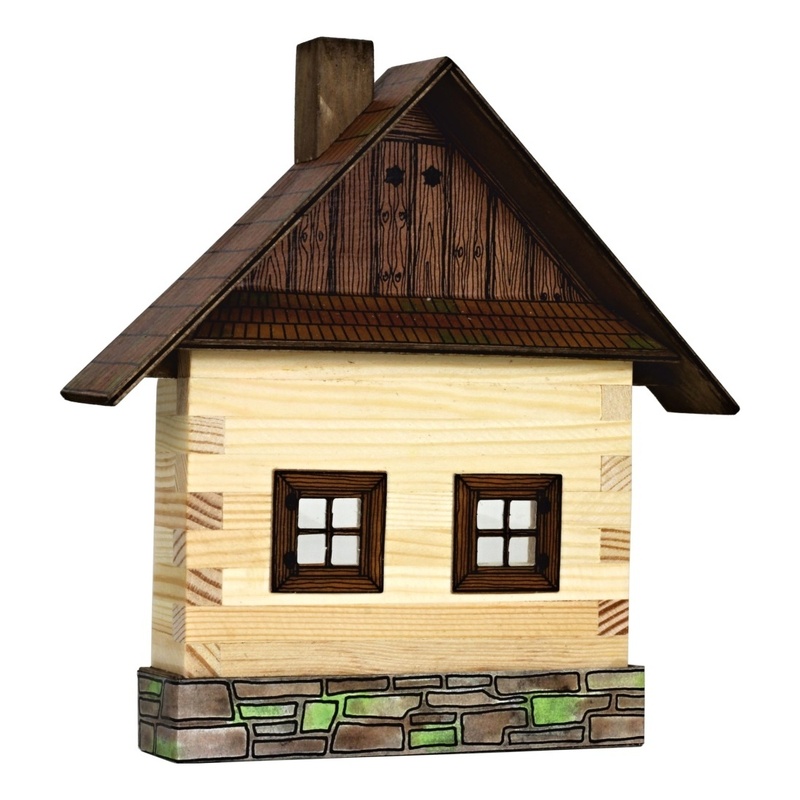 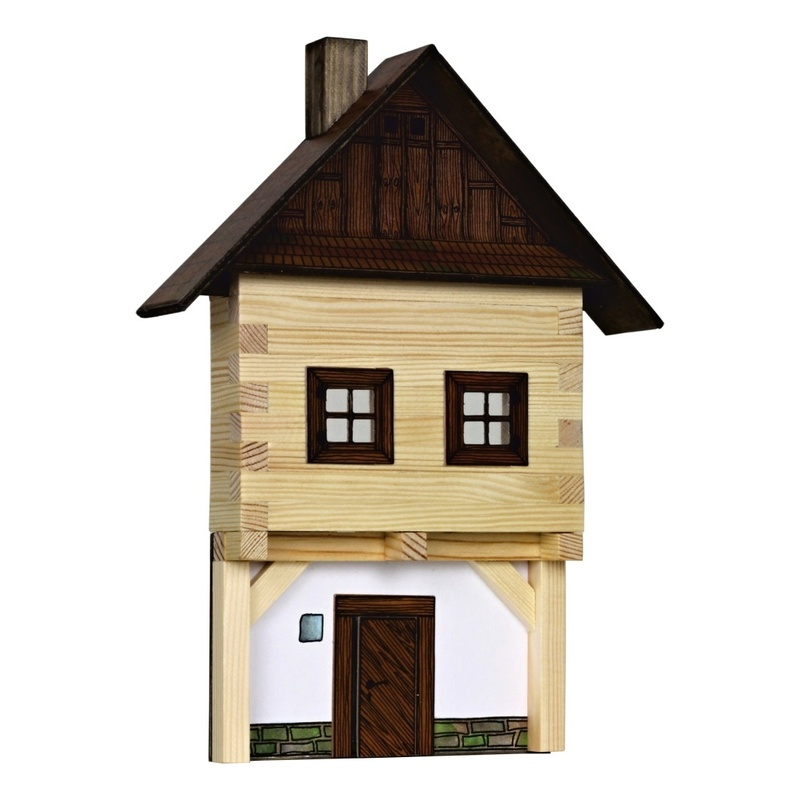 Construction of wooden houses became eventually standardized, allowing effective production of individual house components such as doors and windows by specialized wood craftsmen. 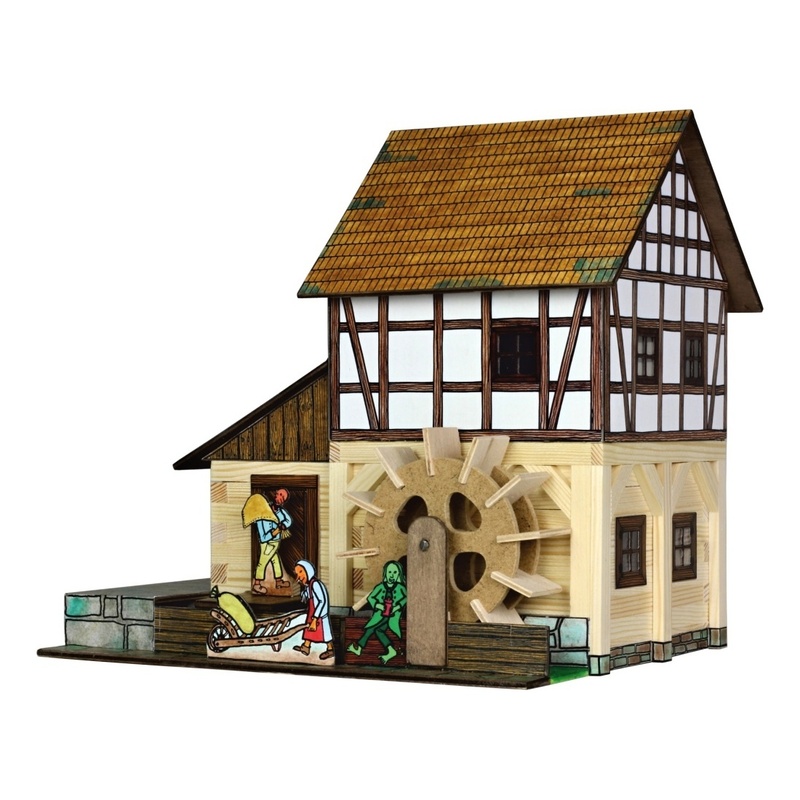 When you are building your project, realize that you will be going through the same stages of construction as your ancestors did. 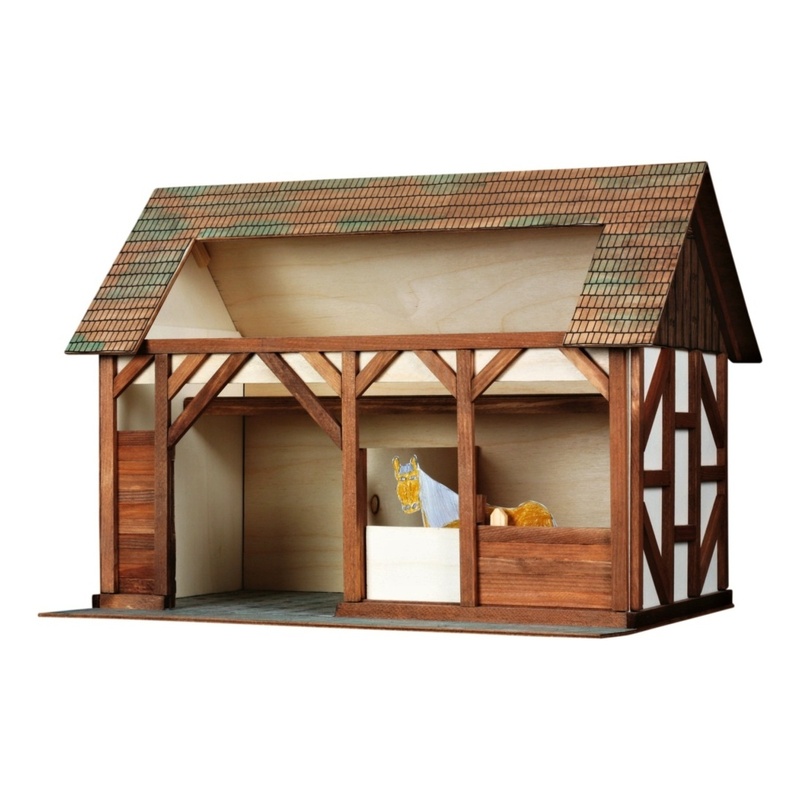 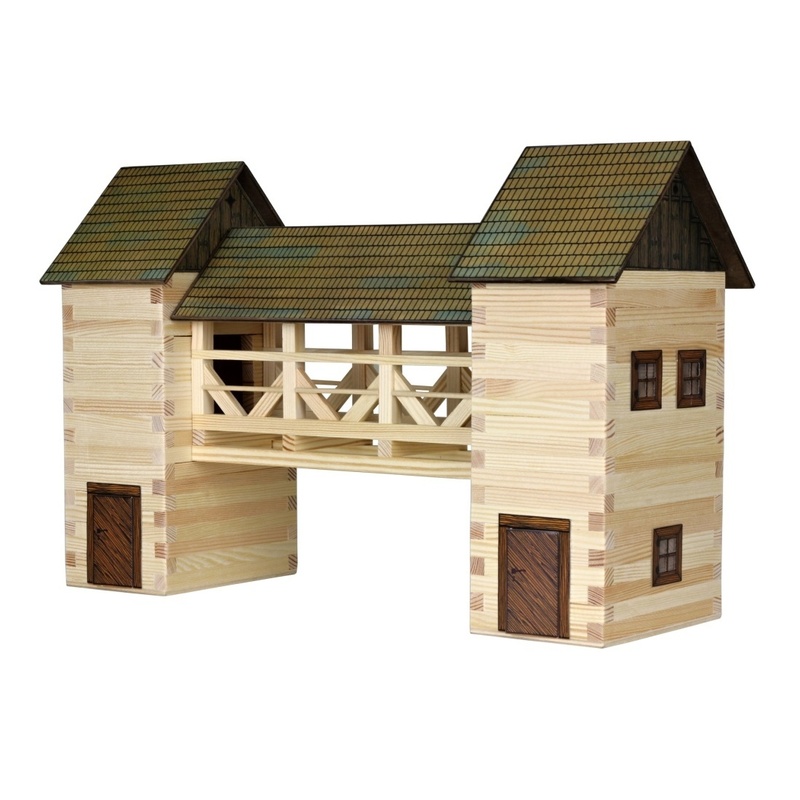 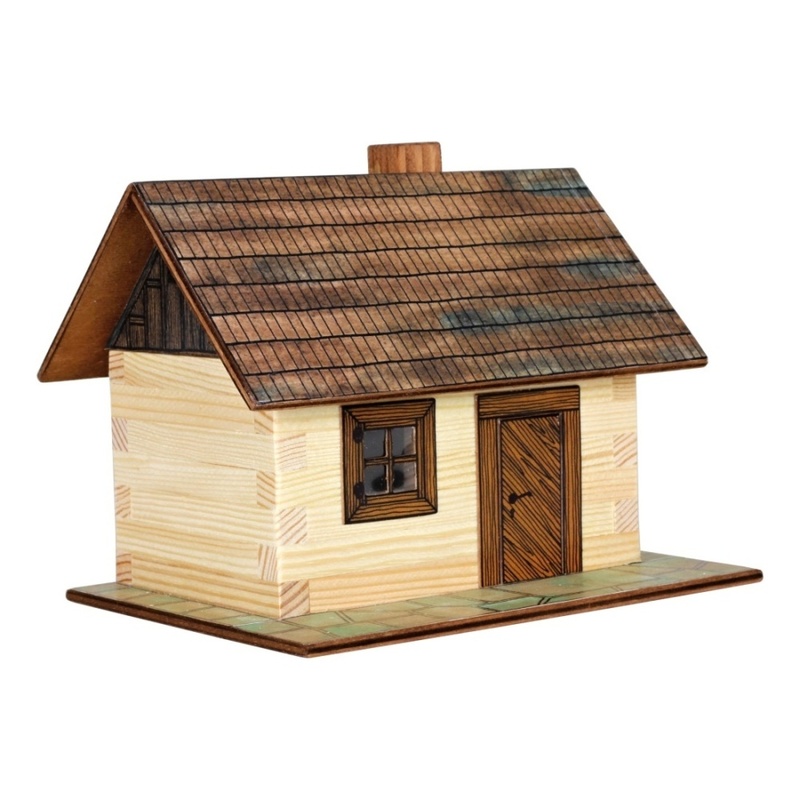 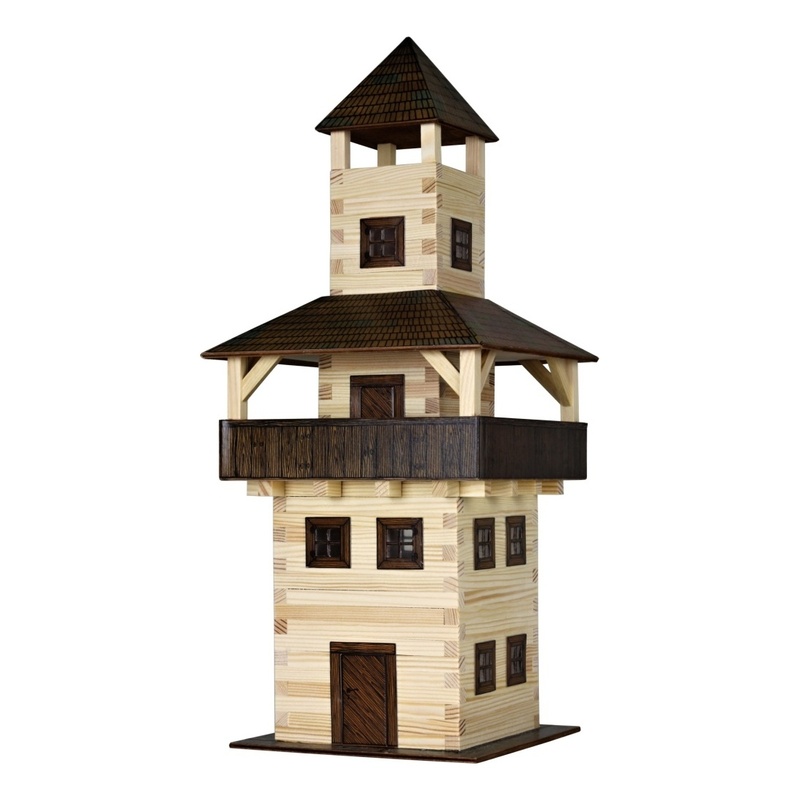 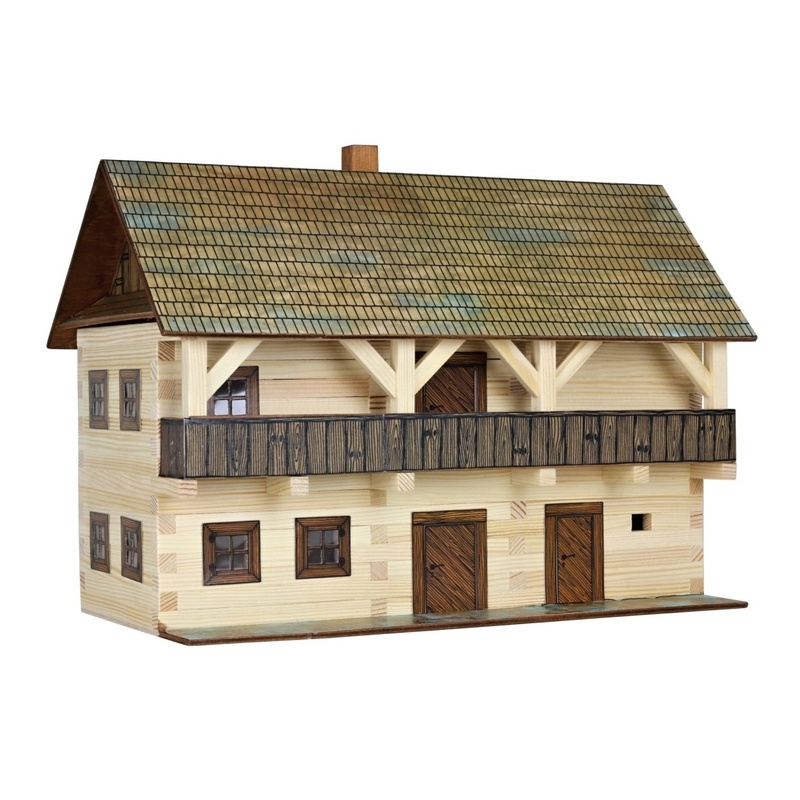 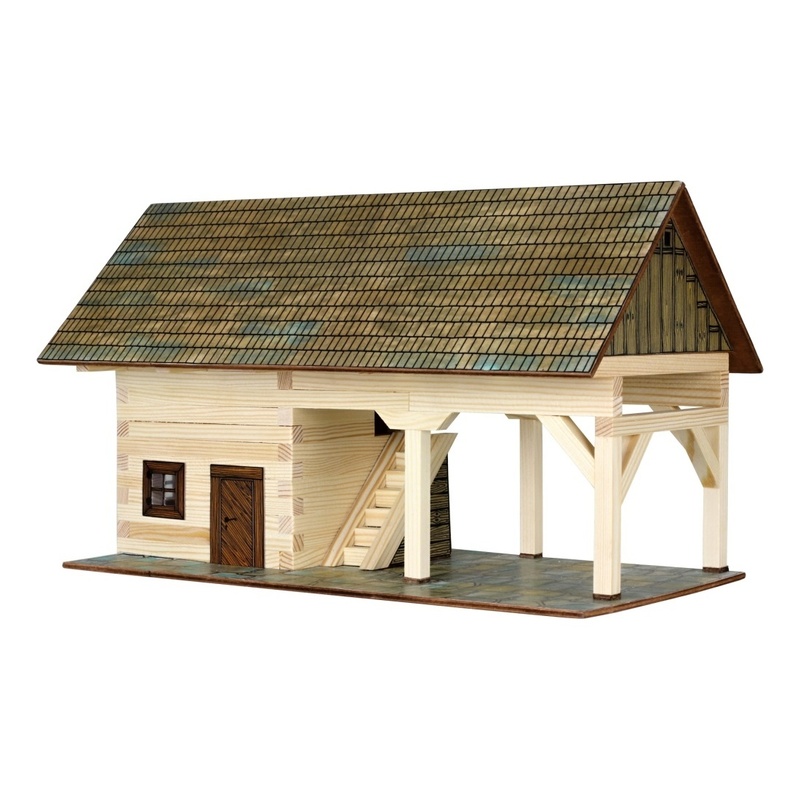 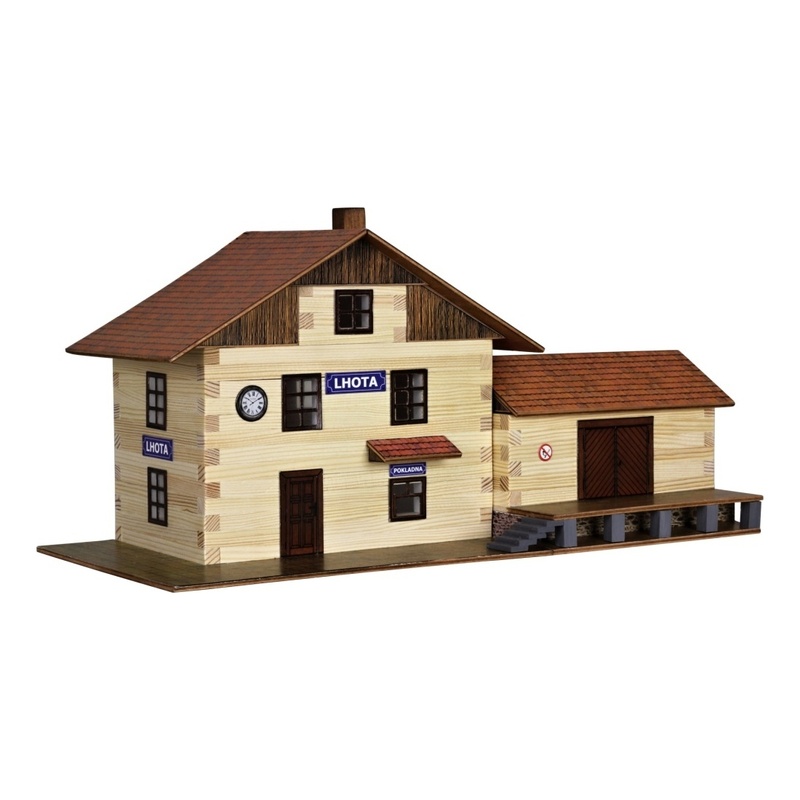 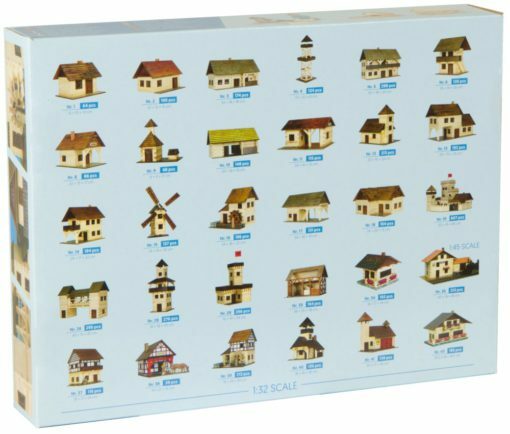 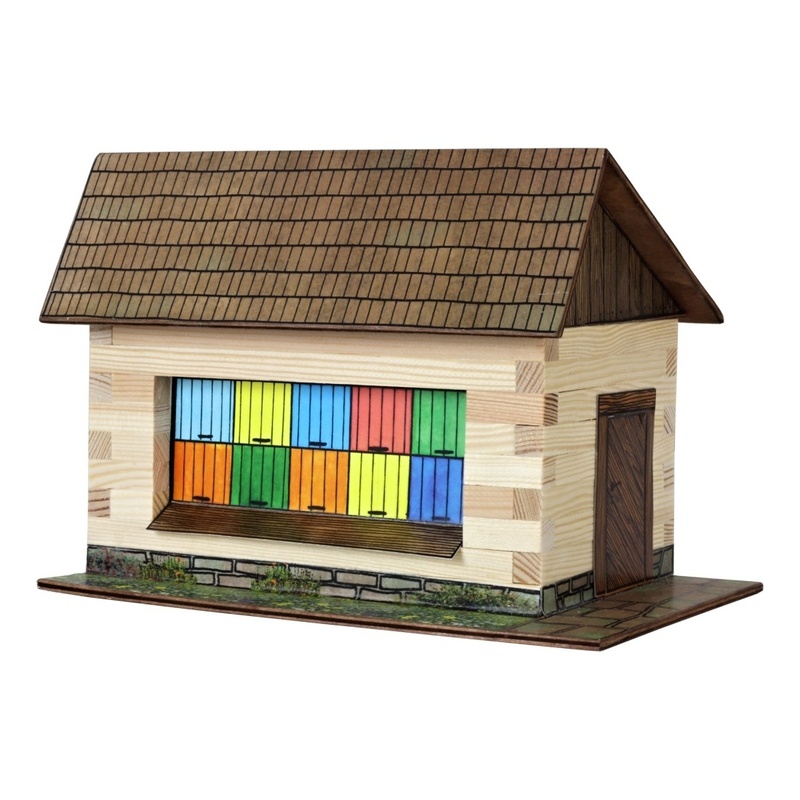 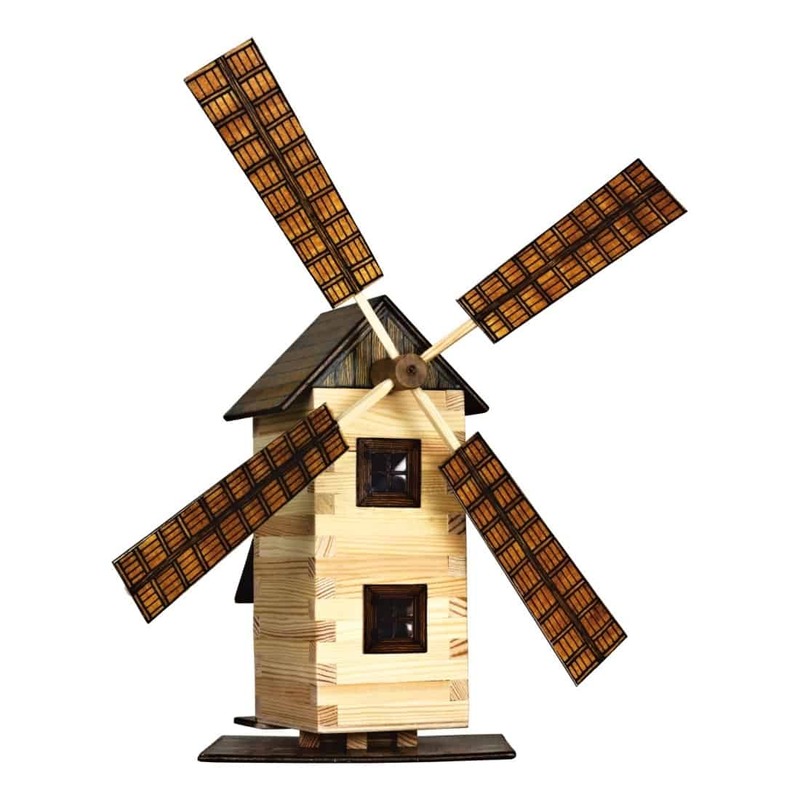 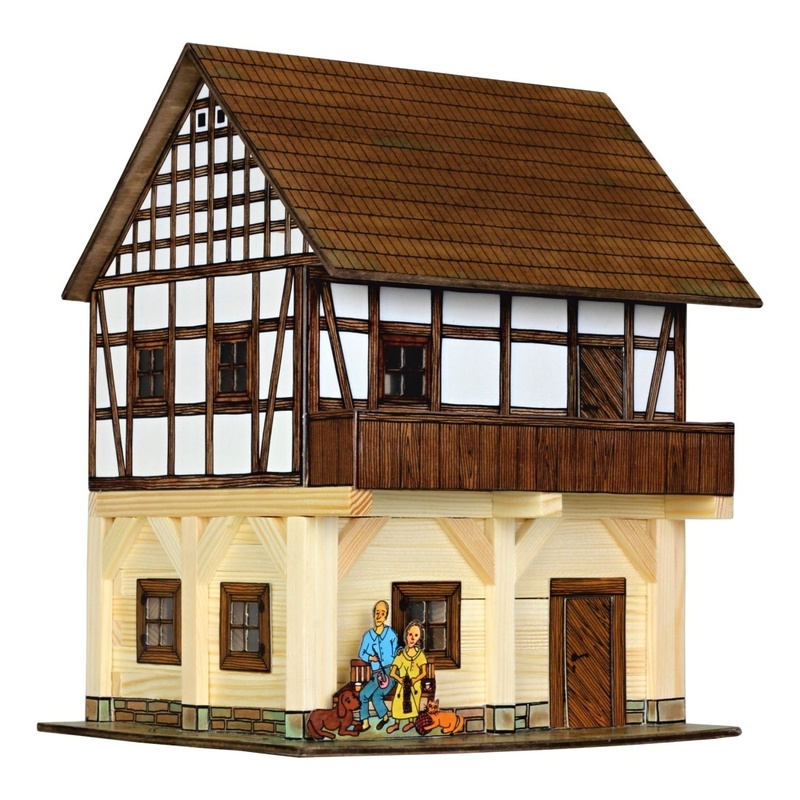 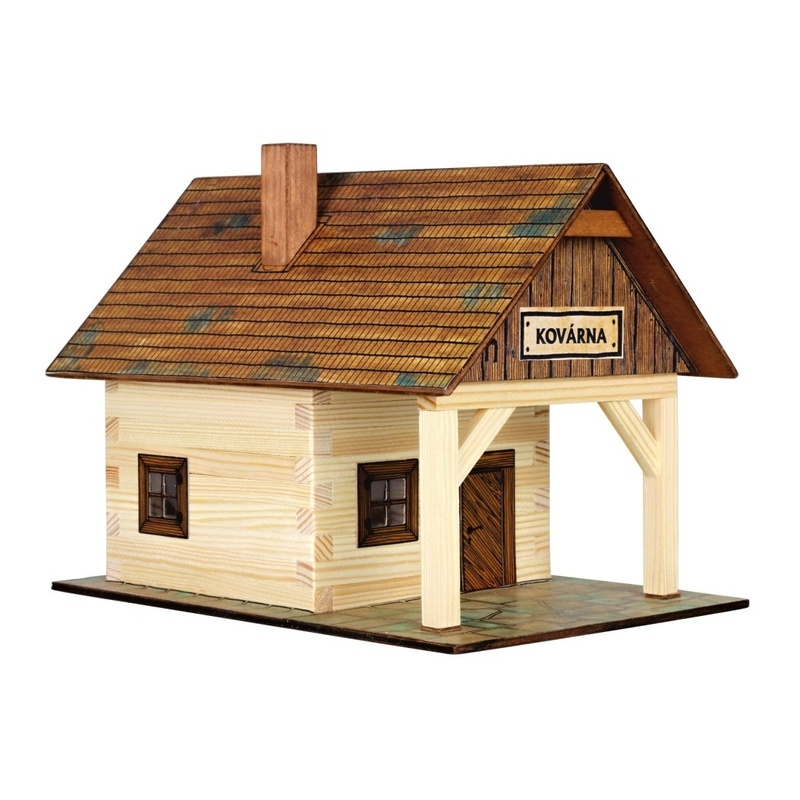 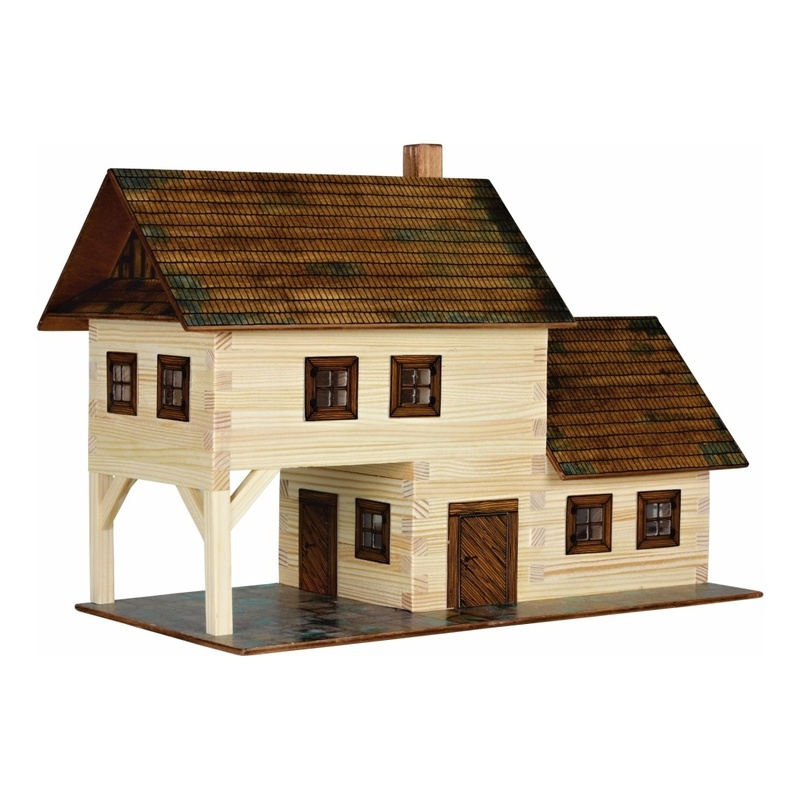 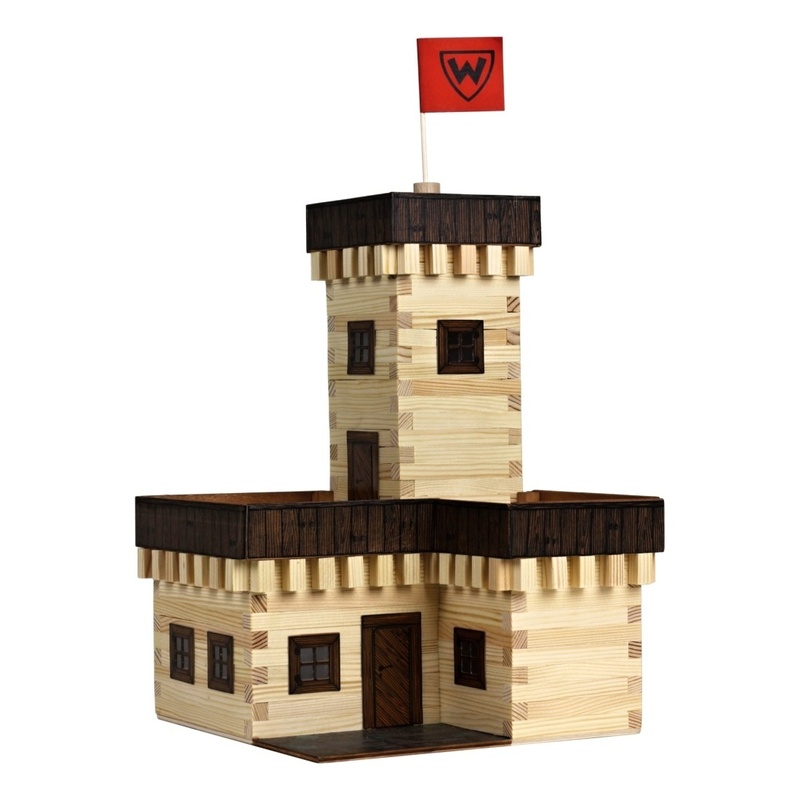 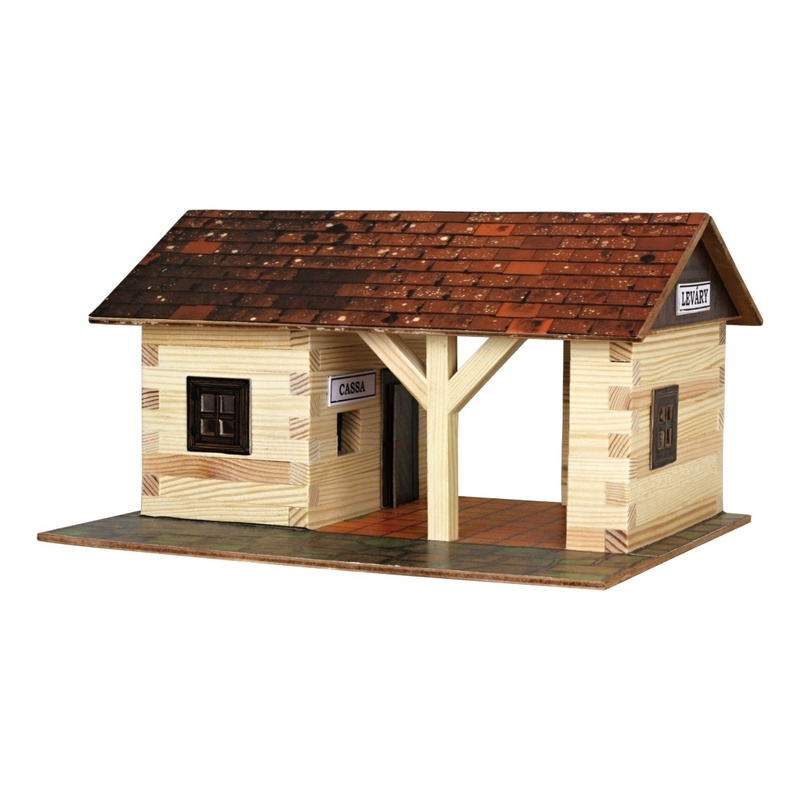 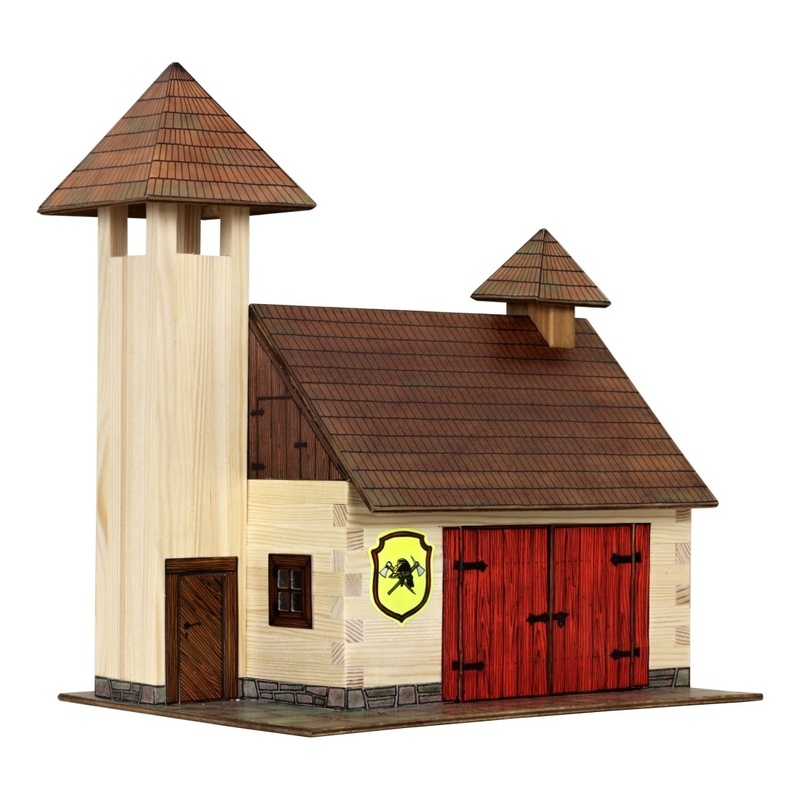 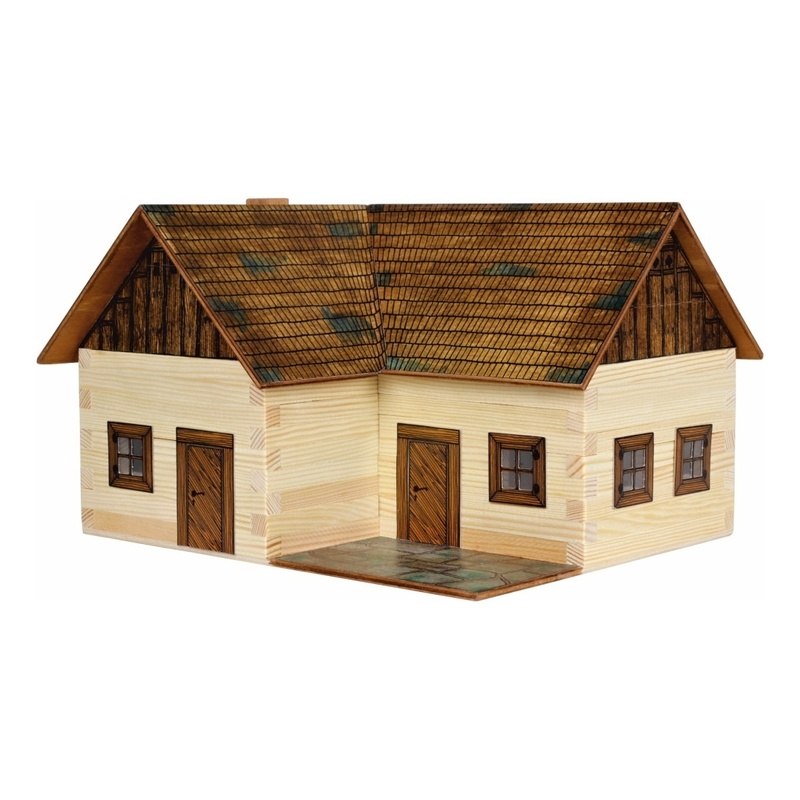 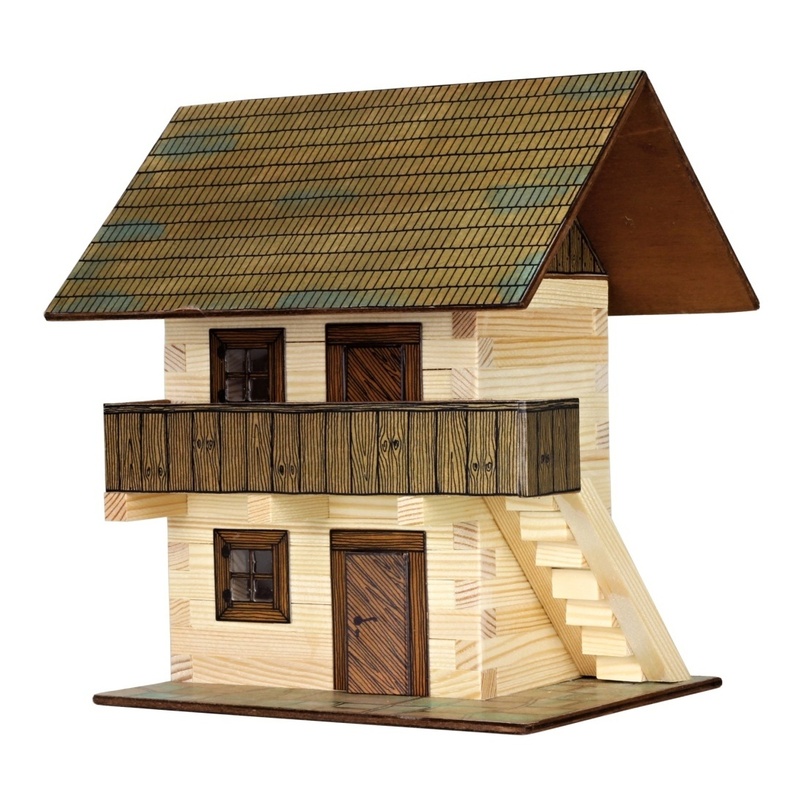 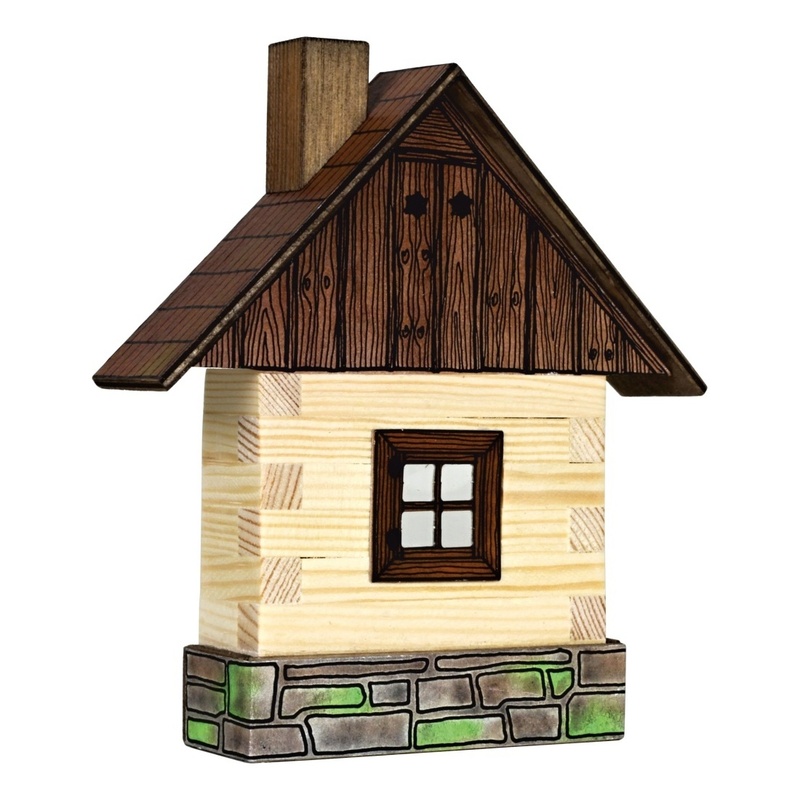 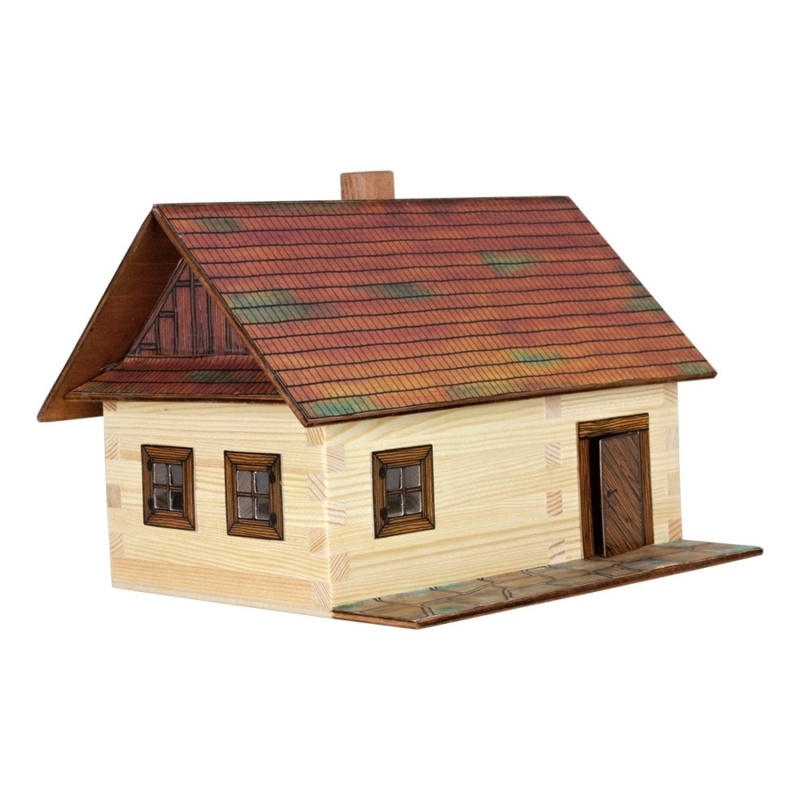 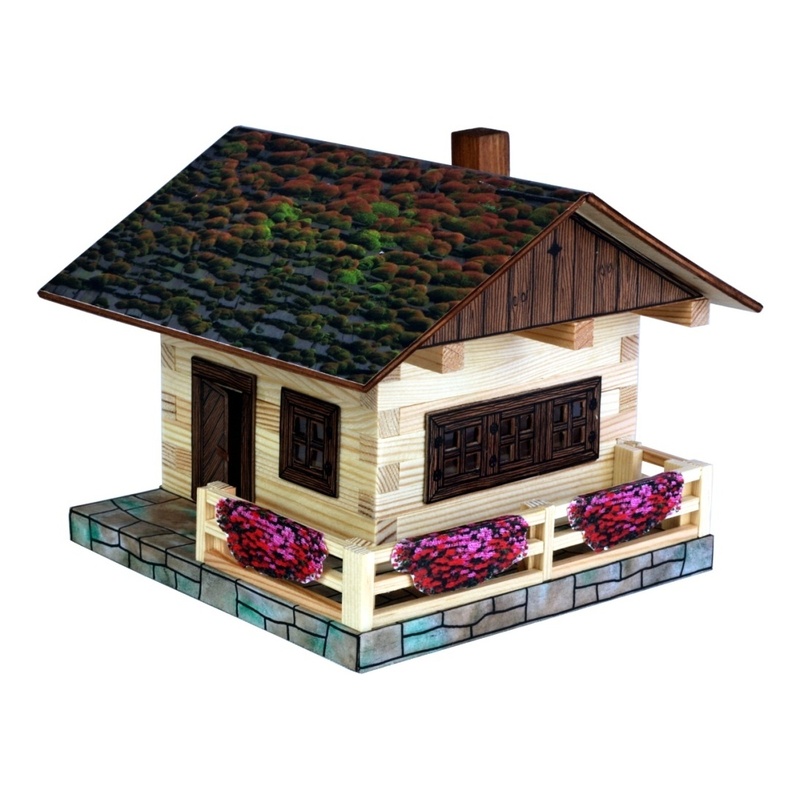 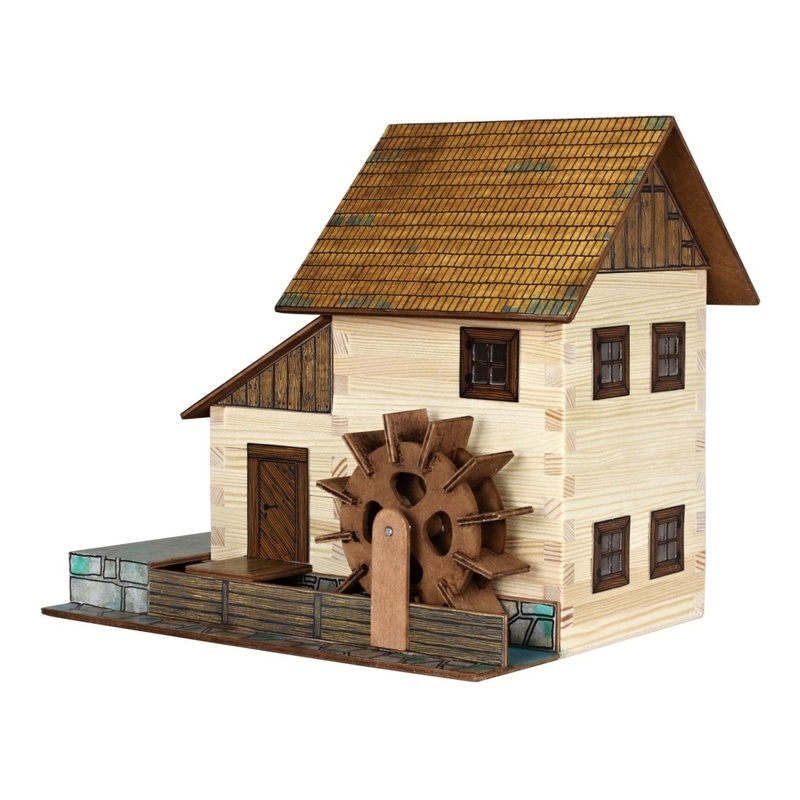 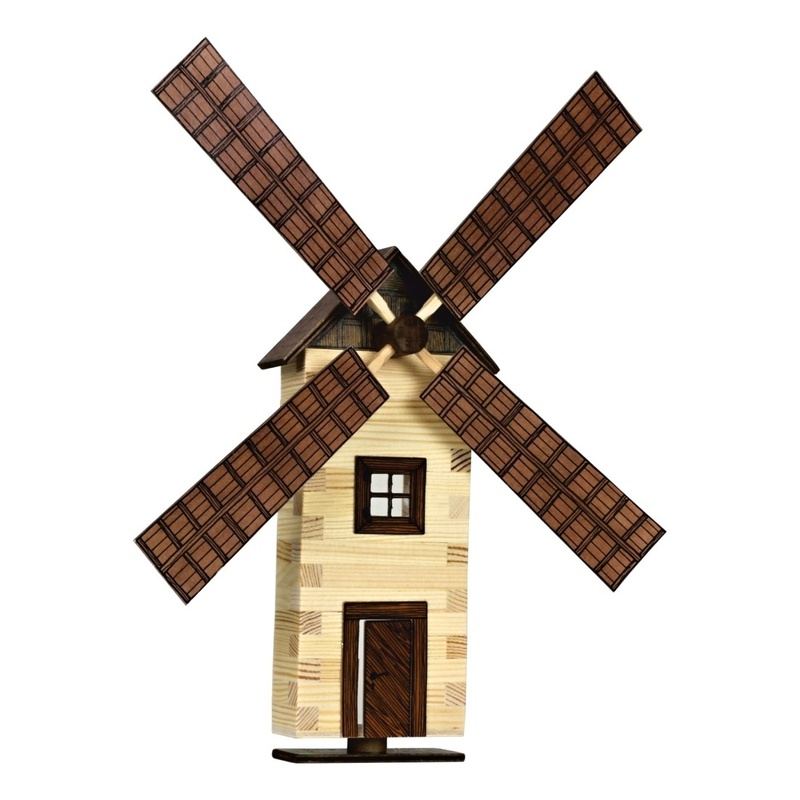 The construction kits available in this series will allow you to create a traditional European village containing all major components of everyday life. 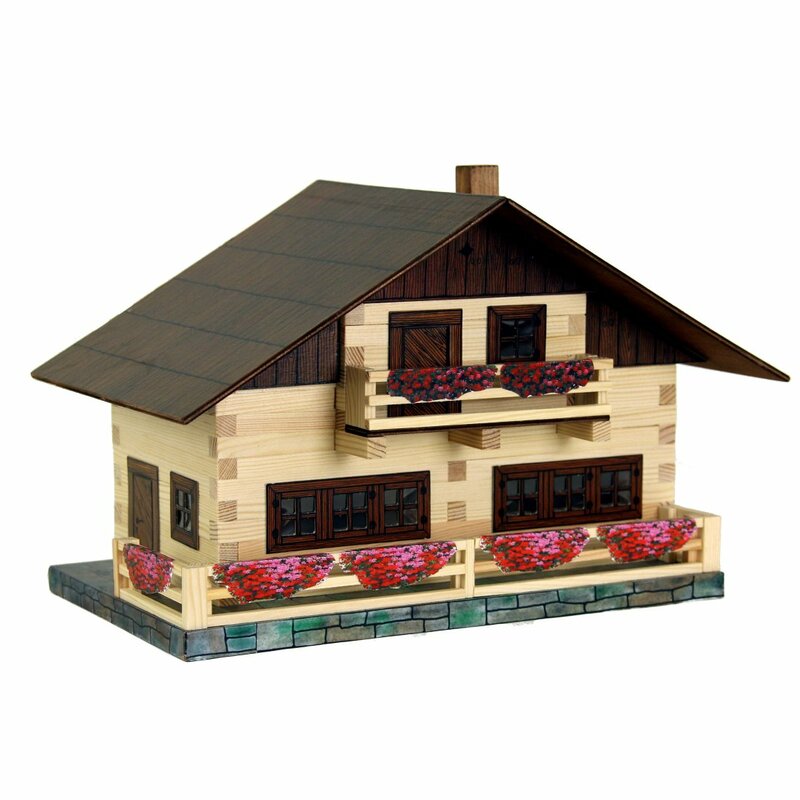 Enjoy your project ! 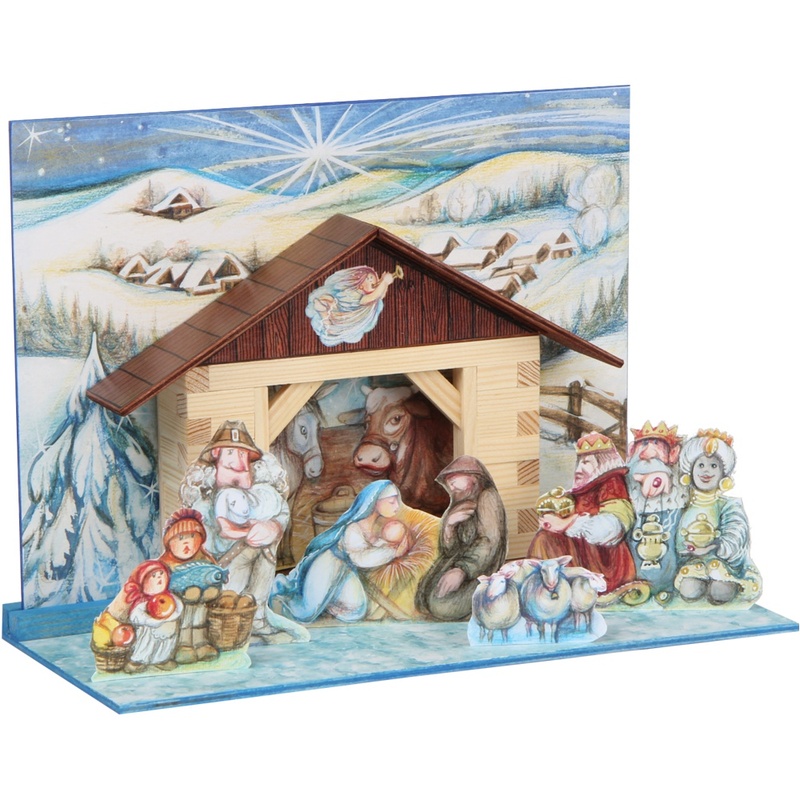 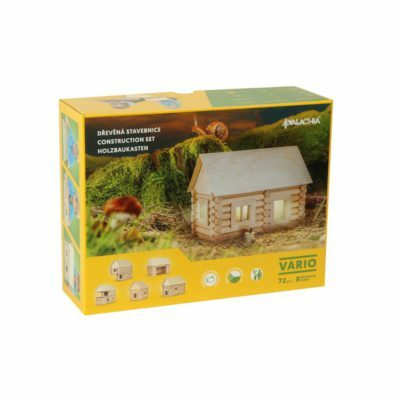 The kit in this package contains all materials necessary for construction of a church. 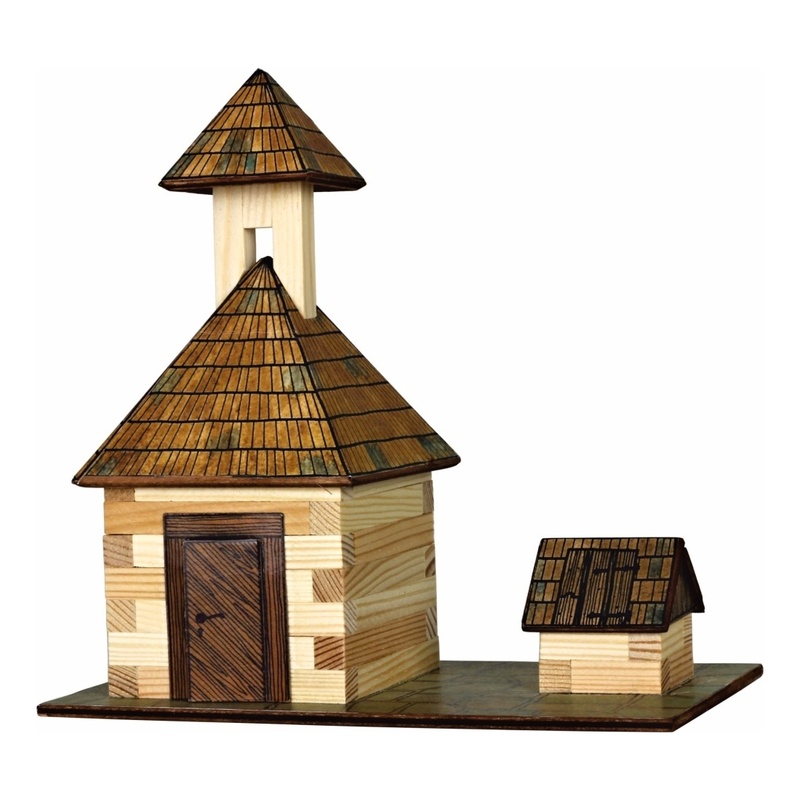 Because religion played an important role in everyday life of villagers, almost every village had its own church. The size and architectural complexy of a church was dictated by size of the village and by wealth of its inhabitants.